What would we have said when we were around 14 years old? How would we have reacted? Think back upon your youth. At 14 what was your focus in life? Boys? Girls? Friends? Adventure? The terrors of the day? The joys of the day? We now know that young girls in Israel were betrothed to be married when they were 12 to 14. Today it seems unbelievable, but back then, it was common. Today we hardly know what life is all about when we are that age. But back then, life was what you were given day to day. There was no “What will I be when I grow up?” There was what you were. Still, how could a young girl face such an imposing, impossible future? How could a young girl face an angel and converse with him and still have her wits about her? And although she is “thoroughly shaken, wondering what was behind a greeting like that,” she simply asks “how can this be?” She doesn’t argue, she doesn’t protest, she simply asks, “how can this be?” And when the angel Gabriel tells her how it can be and that, in fact, her cousin Elizabeth, an old, barren woman, is also pregnant and that “nothing is impossible with God,” what does she say? Isn’t that what Jesus is asking us every day? Isn’t that really our call? Isn’t that what you hear in your heart each time you hear this Gospel? How can you answer? How can we all answer? 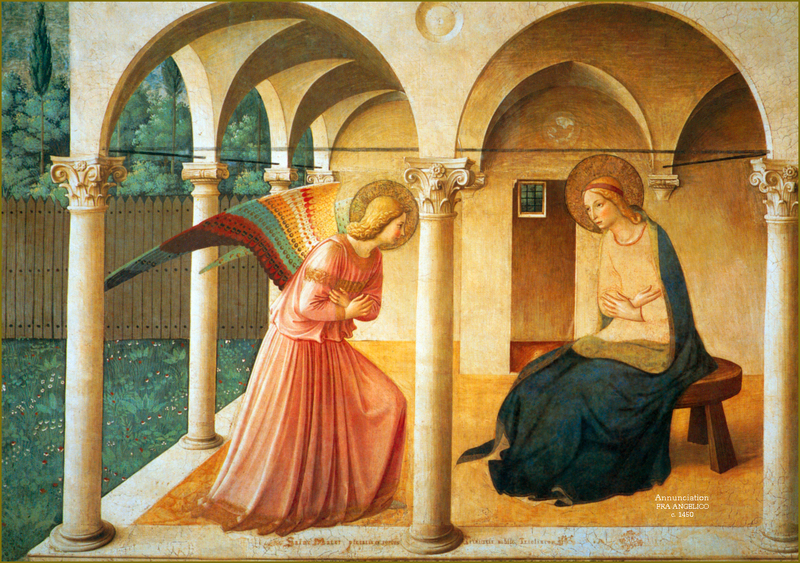 How can we all have the faith that Mary had to give ourselves over to the will of God? Lord, prepare us for the coming of your Son on Easter. Let this lesson of Mary’s complete and utter faith guide us as we seek your salvation, as we seek the eternal peace you have promised us. Let this young child give us strength, peace, and comfort, in Jesus’ name. Amen.